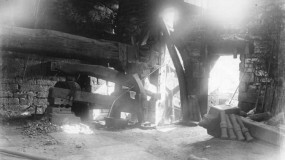 Wortley Top Forge in about 1904 – before production ceased in about 1910. The kitchen yard – complete with the washhouse and the tin bath on a nail in the wall – is a sun-trap and a possible picnic area. 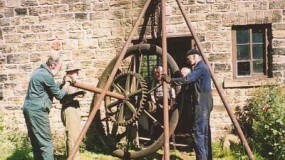 Our largest breast-shot water wheel drives a tilt hammer which forged wrought iron railway axles in Victorian times. 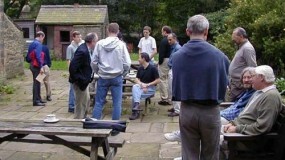 Wortley Top Forge is a Scheduled Ancient Monument to the Iron Industry of South Yorkshire. 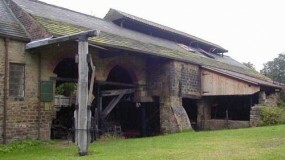 It is also an Industrial Museum with many working exhibits.